The puppy with its mother a day earlier on Nov. 5. 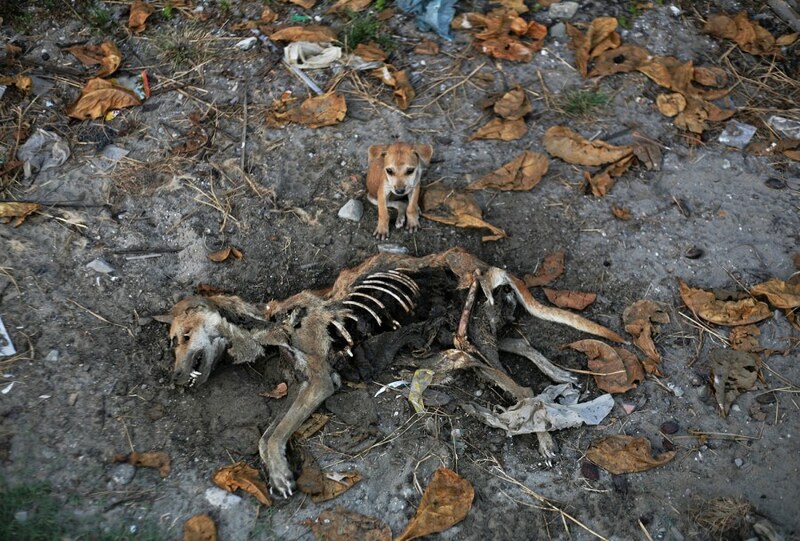 A puppy stays by the remains of a dog who local residents say is its mother on Nov. 6 (above), days after it was killed in an area burned in violence at East Pikesake ward in Kyaukphyu, Myanmar. The exact circumstances of the dog's death are unknown. When I was walking around the burnt areas in that villages, I saw this scene which broke my heart. Before taking pics, I asked the local people around who would adopt the puppy. No one couldn't because they are all in difficulty themselves suffered from the communal violence. 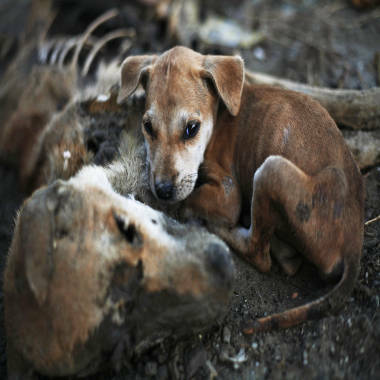 Then, I dropped all my cameras, just sitting and watching the little puppy with the deepest sympathy and sorrows, cries inside me. Then I took the pictures. I rubbed its head... He licked my hands.. Then after a few minutes, took the pictures again.. When my time comes that I must leave, I was about to take the puppy back to the hotel but then, there was one very kind local man who has been watching me and the puppy. He said he also wants to adopt it but cannot because he is poor. Then finally, we decided to send the puppy back to the Buddhist monastery in the village. In Myanmar, monasteries are believed to be the most peaceful place than everything. I believe I did what I could do best in my given situations. I will surely pay a visit to the puppy again sometime in the future. To add, me and the local man picked up the puppy together..